Very nice, well built home on a over 1 acre lot in a very convenient location. Near schools, shopping medical, etc. Boasts a glassed in porch, gazebo, large 30X30 shop building/garage, 320 S.F. heated/cooled sunporch. Many other attributes. To be sold at auction on May 4 at 10:00 AM SHARP!, followed by the personal property of antiques, collectibles, furniture, appliances, auto, guns, tools, etc. (huge doll collection). 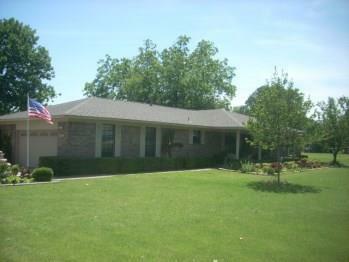 Visit www.contrail.org, or www.arkansasrealtyauction.com for more information. Auction Terms Conditions: 10% Down Day Of Sale, Remainder Due In 30 Days. 10% Buyer Premium.